With the increased popularity in mobile devices, almost everyone is constantly on their phone or tablet. Whether you are checking Facebook, your email, watching a show or playing a game, almost everything can be done from the comfort of a mobile device of some sort. As this becomes more and more of a popular practice, kids are getting hooked too. While it is important to make sure that kids do not spend too much time in front of screens, there are ways to make their screen time valuable to their education. With the accessibility of mobile technologies and development software, many companies have created fun and interactive apps that can actually help teach kids about a variety of different things while also having fun. There are thousands of apps out there, and it can be difficult to keep track of them all. When downloading an app, a lot is taken into consideration, but price probably factors in more than most other attributes, especially for parents. Luckily, there are plenty of different free apps out there that can be fun as well as educational for kids to interact with. Kids can learn a great deal, about math, reading, chemistry, geography, engineering, languages or even coding and outer space. Here are some apps that may be worth looking into – and it may not hurt to try, especially since they are free! ● Math Playground can help teach math to kids from a first to sixth grade level. It offers activities that involve logic puzzles, math games, and arcade-style number games, as well as interactive tools for teaching fractions, functions, percents, and more. ● Kodable is an app available on more recent Apple iOS devices that teaches elementary-aged kids how to code. This growing field is becoming more and more in-demand, and your child can learn basic concepts of modern computer programming from quite an early age and get a head start. ● Kid Science: Chemistry Experiments, a kids app that features videos of simple chemistry experiments as well as full text descriptions that explain what is happening in the video and why. 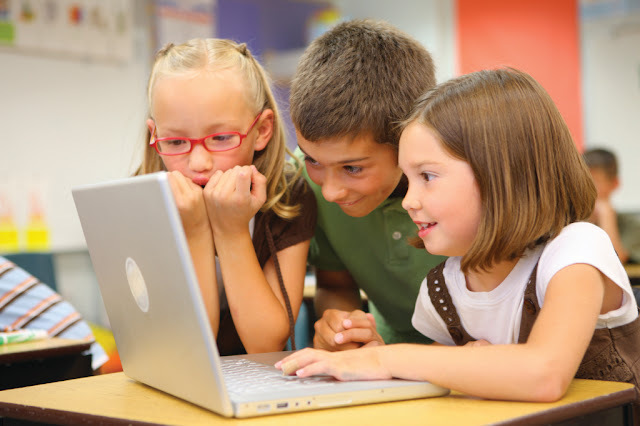 Once each video is complete, kids can take a short quiz to test just how much they’ve learned. ● Duolingo is a great app for kids and adults alike who are interested in learning a second language. Duolingo features a variety of short game-like exercises that teach vocabulary, sentence structure and grammar. Duolingo has over 20 languages you can choose to learn from including Spanish, French, Chinese, and Arabic among others. ● The NASA Kids’ Club website is a fun and interactive place where kids can learn about space through games and simulations. There are so many free apps out there that can be both fun and educational. Even companies like Khan Academy have become popular with kids, teens and adults alike, and many of these apps can be used to help supplement school-work or your own personal sense of curiosity. For more free resources and parenting tips please visit our website at KDNovelties.com or the KD Novelties Blog.